Windows XP or Windows Vista, 1 GHz Processor (1.4 GHz recommended), 256MB RAM (512 recommended), ATI/NVidia graphics card compatible with DirectX 9.0c, Mouse, Keyboard. Compatibility notice: This game is incompatible with Intel video devices, including typical netbook graphics. 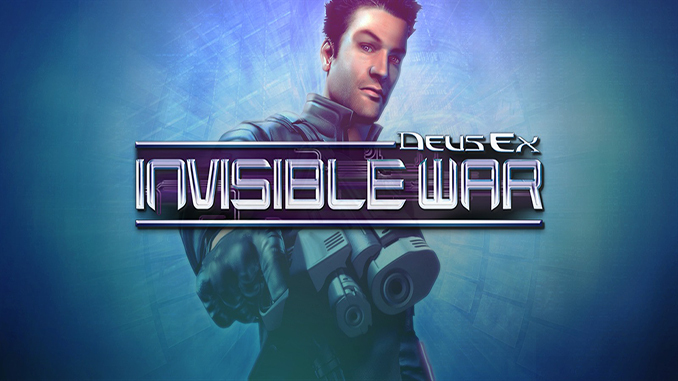 Deus Ex: Invisible War (c) Ion Storm Inc.
Twenty years after the events depicted in the multi-award-winning Deus Ex, the world is just beginning to recover from The Collapse. As an elite agent-in-traning, you must match wits against numerous militant factions bent on violently reshaping the world to suit their own agendas. Armed with a multitude of high-tech gadgets and cyberpunk bio-mods, you are granted nearly superhuman powers. Atleast i find it. thanks!!! !